A concert by the harp quartet Prah-a-harP with works by composers from the Baroque through to the present – including Johann Sebastian Bach (1685–1750), Antonín Dvořák (1841–1904), Johann Strauss (1825–1899), Bedřich Smetana (1824–1884) and Leonard Bernstein (1918–1990). Founded in 2016, the Prah-a-harP Quartet is led by Hana Müllerová-Jouzová, the well known Czech harpist. The other three members are her daughters. Among its recordings are works by Antonín Dvořák and compositions for four and two harps. Its vast repertoire contains works from the Baroque period through to the 20th century. Take a tour in Prague! The Maisel Synagogue located in Josefov, Jewish Quarter was erected in 1592 on the basis of a privilege granted by Emperor Rudolf II. Its founder was Mordecai Maisel, the Mayor of the Prague Jewish Town. 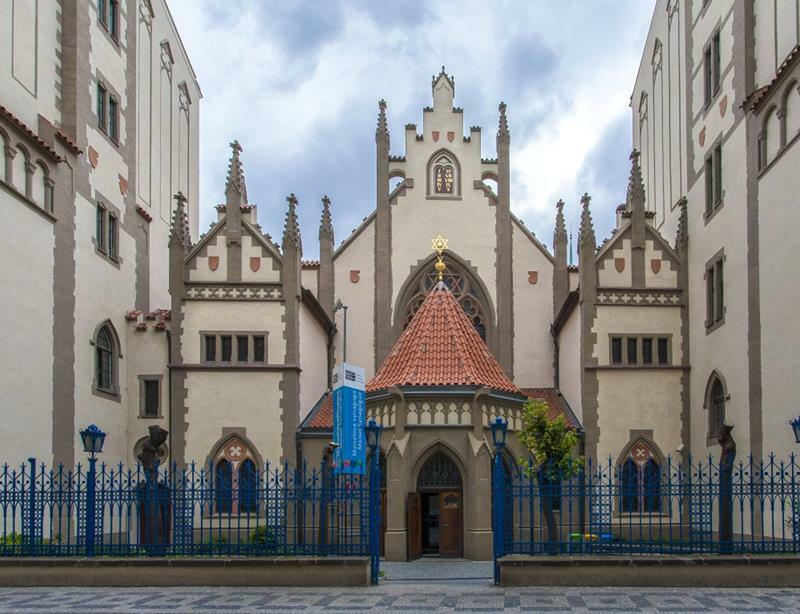 Built by Judah Tzoref de Herz and Josef Wahl, it was originally a Renaissance temple with three naves, which was unusual for its day. The synagogue was severely damaged in the ghetto fire of 1689 and has been rebuilt several times. It acquired its current Neo-Gothic form by Prof. A Grotte in 1893-1905. Currently, author readings as well as highly acclaimed concerts take place at the Maisel Synagogue. On display is a wealth of rare collection objects, each placed in a new layout and proper context after a recent comprehensive reconstruction of the Maisel Synagogue. Touch screens enable visitors to look through old Hebrew manuscripts and to view historical maps of Jewish settlements. Visitors are also encouraged to search the museum's database for information about prominent Jewish figures. In the evening hours, the exhibition area is often transformed into an auditorium and used as a venue for concerts, recitals and solo theatre performances. There is a barrier-free entrance.